Explore the numerous day-trip ideas around Swakopmund: Walvis Bay (Walvis Bay Waterfront, Dolphin & Whale Watching, & more). There's much more to do: see exotic creatures in open habitats at a safari tour, look for gifts at Die Muschel, take in the views from Swakopmund Jetty, and stroll through Welwitschia Plains. For other places to visit, photos, where to stay, and more tourist information, you can read our Swakopmund trip itinerary maker . Amsterdam, The Netherlands to Swakopmund is an approximately 18-hour flight. You can also do a combination of train and flight; or do a combination of flight and shuttle. The time zone difference moving from Central European Time (CET) to Central African Time (CAT) is 1 hour. Plan for warmer temperatures traveling from Amsterdam in March, with highs in Swakopmund at 29°C and lows at 17°C. Finish your sightseeing early on the 4th (Mon) so you can drive to Damaraland. Kick off your visit on the 5th (Tue): see the interesting displays at Damara Living Museum and then appreciate the history behind Twyfelfontein. Here are some ideas for day two: take your sightseeing to a higher altitude at Brandberg Mountain. To see traveler tips, photos, more things to do, and more tourist information, refer to the Damaraland trip planner . Traveling by car from Swakopmund to Damaraland takes 3 hours. 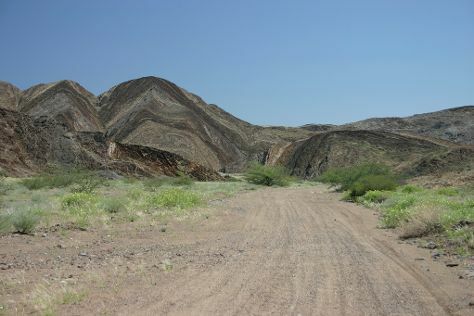 Traveling from Swakopmund in March, expect Damaraland to be somewhat warmer, temps between 39°C and 27°C. Wrap up your sightseeing on the 6th (Wed) early enough to drive to Luderitz. 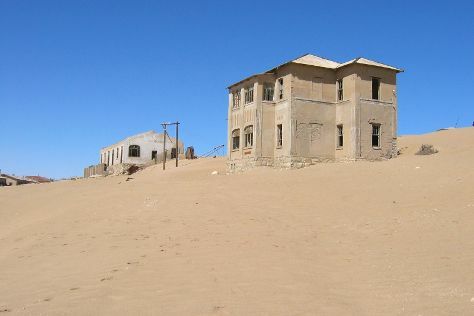 Kick off your visit on the 7th (Thu): get to know the fascinating history of Diaz Point, then pause for some serene contemplation at Felsenkirche, and then mingle with the ghosts of the past at Kolmanskop Ghost Town. To see more things to do, ratings, and more tourist information, refer to the Luderitz driving holiday planner . Drive from Damaraland to Luderitz in 12.5 hours. Alternatively, you can do a combination of car and flight. Prepare for little chillier weather when traveling from Damaraland in March: high temperatures in Luderitz hover around 29°C and lows are around 16°C. Finish your sightseeing early on the 7th (Thu) so you can travel to Windhoek. 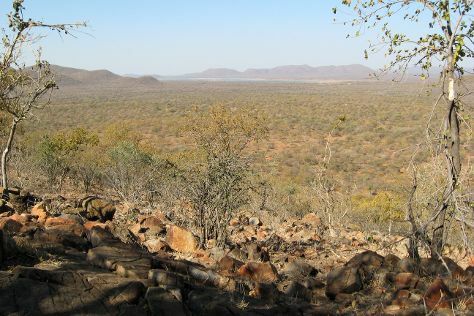 Windhoek is known for wildlife, parks, museums, shopping, and historic sites. Your plan includes some of its best attractions: get outside with Deadvlei, tee off at Omeya Golf and Residential Oasis, examine the collection at National Museum of Namibia, and identify plant and animal life at Wildlife Areas. To find maps, photos, other places to visit, and tourist information, go to the Windhoek trip itinerary builder website . Traveling by combination of flight and car from Luderitz to Windhoek takes 2 hours. Alternatively, you can drive. While traveling from Luderitz, expect somewhat warmer days and about the same nights in Windhoek, ranging from highs of 34°C to lows of 18°C. Wrap up your sightseeing on the 11th (Mon) early enough to travel to Gaborone. Spend the 14th (Thu) exploring nature at Central Kalahari Game Reserve. There's lots more to do: tour the pleasant surroundings at Mokolodi Nature Reserve, take in the spiritual surroundings of Sri Balaji Temple, indulge in some personalized pampering at some of the best spas, and take in the architecture and atmosphere at Christ the King Cathedral. To find more things to do, photos, where to stay, and other tourist information, refer to the Gaborone holiday builder app . Traveling by flight from Windhoek to Gaborone takes 2.5 hours. Alternatively, you can drive; or take a bus. Cap off your sightseeing on the 14th (Thu) early enough to travel to Ngamiland East. 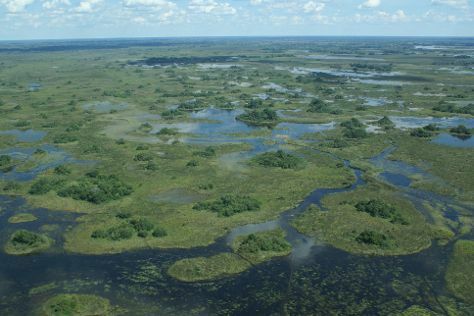 Kick off your visit on the 15th (Fri): stroll through Okavango Delta. Get ready for a full day of sightseeing on the next day: stroll through Moremi Wildlife Reserve. To see reviews, ratings, photos, and more tourist information, refer to the Ngamiland East travel itinerary planner. Traveling by flight from Gaborone to Ngamiland East takes 3 hours. Alternatively, you can take a bus; or do a combination of train and bus. Expect a daytime high around 36°C in March, and nighttime lows around 22°C. Finish your sightseeing early on the 16th (Sat) to allow enough time to travel to Chobe National Park. Chobe National Park is known for nature, parks, wildlife, outdoors, and adventure. Your plan includes some of its best attractions: stroll through Nogatsaa and Tchinga and make a trip to Boab Prison Tree, Kasane. To find maps, more things to do, and other tourist information, use the Chobe National Park vacation builder app . The Route module can help you plan travel from Ngamiland East to Chobe National Park. Wrap up your sightseeing on the 19th (Tue) to allow time to travel to Victoria Falls. Spend the 21st (Thu) spotting exotic species with a safari tour. There's much more to do: explore the striking landscape of Mosi-oa-Tunya / Victoria Falls National Park, see some colorful creatures with a scuba or snorkeling tour, identify plant and animal life at Wildlife Areas, and tour the pleasant surroundings at Siduli Hide. 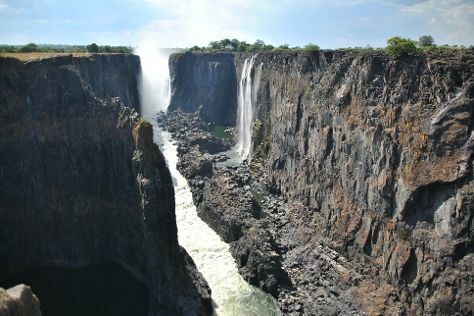 For where to stay, reviews, traveler tips, and more tourist information, read Victoria Falls trip planner . You can take a shuttle from Chobe National Park to Victoria Falls in 4 hours. In March, daytime highs in Victoria Falls are 34°C, while nighttime lows are 21°C. Wrap up your sightseeing on the 24th (Sun) early enough to travel to Harare. Harare is known for parks, zoos & aquariums, shopping, museums, and historic sites. Your plan includes some of its best attractions: get to know the resident critters at Wild Is Life Trust and ZEN, take in the awesome beauty at Ngomakurira Mountain, browse the collection at National Archives of Zimbabwe, and explore the world behind art at Chapungu Sculpture Park. To see maps, where to stay, other places to visit, and tourist information, you can read our Harare travel itinerary planner. You can fly from Victoria Falls to Harare in 2 hours. Alternatively, you can drive; or take a train. Traveling from Victoria Falls in March, Harare is little chillier at night with lows of 18°C. Wrap up your sightseeing on the 28th (Thu) to allow time to travel back home.